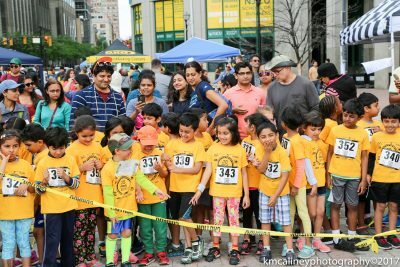 Every year kids of all ages look forward with great anticipation for the Easter events in and around Jersey City. 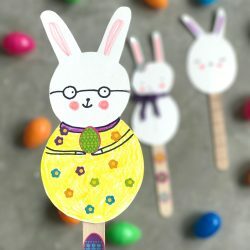 As Peter Cottontail, the rabbit is busy hiding all the Easter eggs, kids are equally busy preparing their Easter baskets. 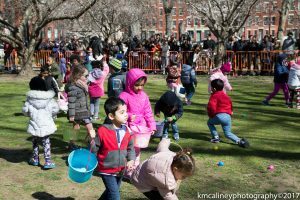 Easter Events in and around Jersey City are filled not only with egg hunting but also a lot of games and activities children love. Most Easter hunts begin on time and end fast because kids are so good in finding them in every corner of the venue. 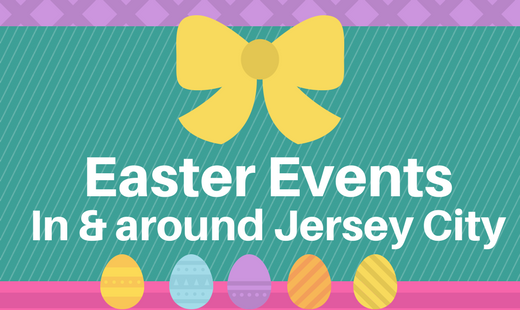 Most Easter Events in and around Jersey City are free unless otherwise specified. This year JCFamilies will be combining egg hunt with Spring Festival. There will be multiple slots for egg hunts. 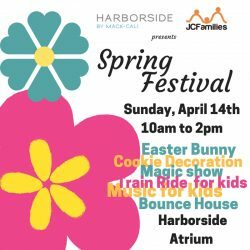 Join the HDSID in bringing the Easter Bunny to Downtown JC for all the kiddies out there to enjoy! FREE pictures, candy and Face Painting for all you kiddos out there! 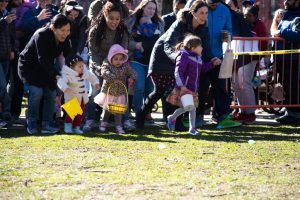 Experience the largest Easter Egg Hunt of Hudson County and one of the largest Easter Events in and around Jersey City. Have your kids try their luck in finding one of the 30,000 Easter eggs. Let them have their picture taken with the Easter Bunny and have some face painting done on them. There will also be carnival games, arts and crafts and a lot more of other fun activities. Admission is free for everyone, but tickets are required! Find details HERE. This event is organized by the Hoboken Grace Community Church. 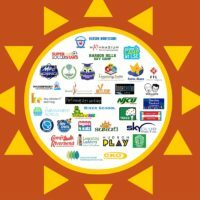 Our annual Spring Fling event is an outdoor event for the entire family! Join us for a day of fun activities including a stroll through the Spring Farm Egg Hunt (find eggs and trade them in for a bag of goodies! ), a “Guess the Number of Jelly Beans” contest for a bike give-away and more! 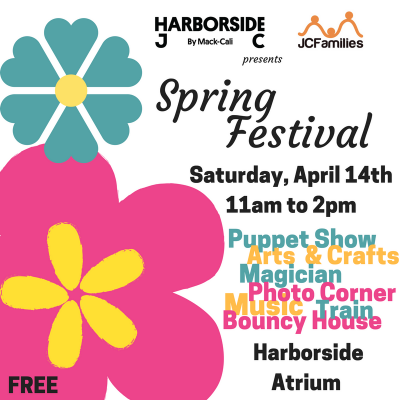 The event will take place at Columbus Park, Hoboken on Saturday, April 13th, 10am-12pm. 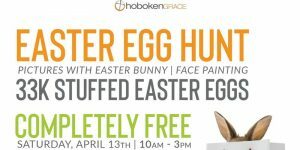 Hoboken Family Alliance has been organizing this event for a few years and this is definitely qualifies for Easter Events in and around Jersey City, Hoboken is just few minutes away from our City. 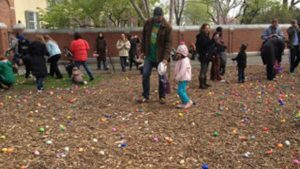 Hope Church and Friends of Van Vorst Park are organizing the Easter egg Hunt in Van Vorst Park this year! It’s a popular event, so make sure you’re there on time! Date: Saturday, April 13th at 11am to 12pm. 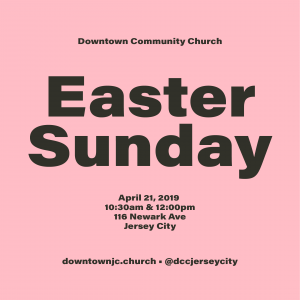 You’re invited to celebrate Easter at Downtown Community Church on April 21st at 10:30am or 12:00pm. Free snacks and coffee are provided and three separate Downtown Kids environments, for children 6 weeks through 5th grade, are offered during both the 10:30am and 12:00pm services. 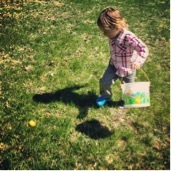 Easter Sunday is never complete without the traditional Easter Egg Hunt. Almost everyone in the United States has been to at least one Easter Egg Hunt event during his childhood. 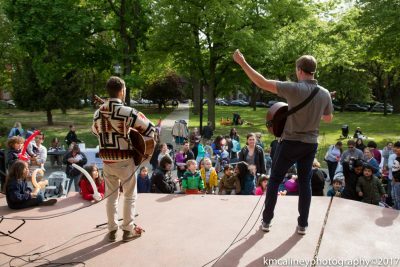 Easter Events in and around Jersey City are always filled with lots of fun, and exciting activities! Come join us, Long Beach Twp PBA 373, Long Beach Township Parks and Recreation and the Where Angels Play Foundation for our Annual Easter Egg Hunt. This year the Egg Hunt will be on April 13th from 2pm to 4pm at Lauren Rousseau’s Playground in Bayview Park 6800 Long Beach Blvd. Brant Beach, NJ. We will have two egg hunt areas this year: one for 5 years old and under (with parents if needed) and an area for 5-10 year olds (please limit adults in this area). There will also be music, light snacks and refreshments and a special guest appearance by the Easter Bunny! Entrance is free. Please have a basket ready, bring some light snacks and music. Also please bring a penny to commemorate Lauren Rousseau and the Angels Play Foundation. 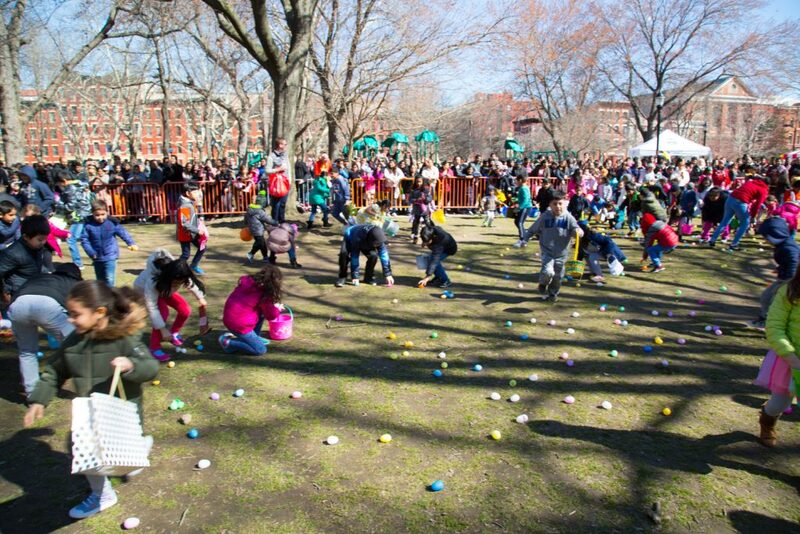 Every year the Red Bank Parks and Recreation happily presents the Annual Easter Egg Hunt. Children of all ages are invited to join this fun and exciting event where they can have their picture taken with the Easter Bunny. 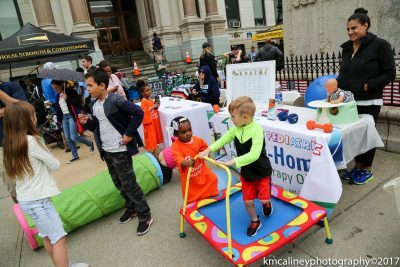 Great prizes and a lot of fun await all those who will come to one of the most exciting Easter Events in and around Jersey City! Don’t forget to bring a camera and of course a Basket. 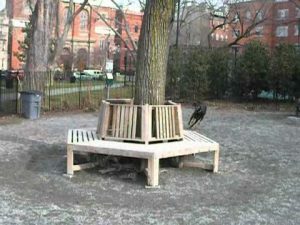 This Easter Egg Hunter is presented by the Borough of Red Bank Department of Parks and Recreation. Special thanks to the Oriental Trading for all the products for the egg hunt. For more details please contact the information office.at email address [email protected] or visit them at 90 Monmout St., Redbank, New Jersey. Enjoy the annual egg hunt picture with the Easter Bunny, goodies for the kids, food, entertainment and a DJ dance party! Easter FUNDAY at Hazel Baby & Kids! 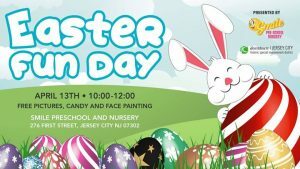 Join the HDSID in bringing the Easter Bunny to Downtown JC for all the kiddies out there to enjoy! Free pictures and candy for all you kiddos out there! 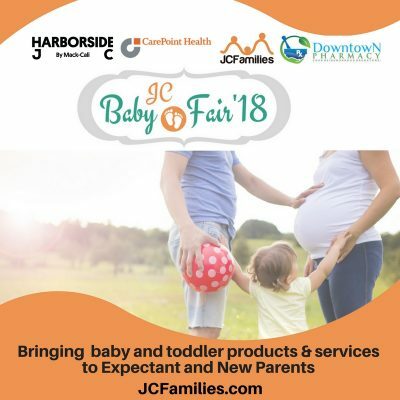 A HUGE THANK YOU to Hazel Baby & Kids for hosting the event! Ready to Hop? 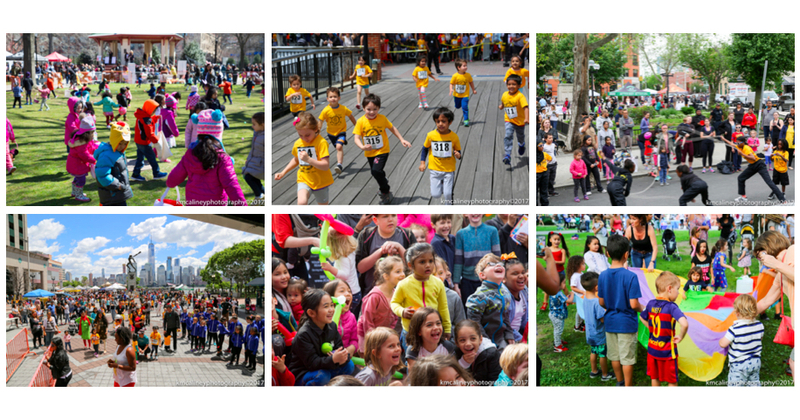 Egg Hunt returns to VVP, followed by Easter Bonnet Parade and Competition! Easter Bonnet Competition at 12:45pm. Now, hop to it! Tapestry Church’s Easter Eggstravaganza! Registration is required. Pre-register today to avoid registration lines on the day of the event. Click here to register: http://bit.ly/1LsM0Kq Featuring over 25,000 Easter eggs including money eggs, popcorn, cotton candy, face painting, crafts, and the Easter Bunny! The Egg Hunt begins at 12 noon. Everything is completely free and all are welcome to register. 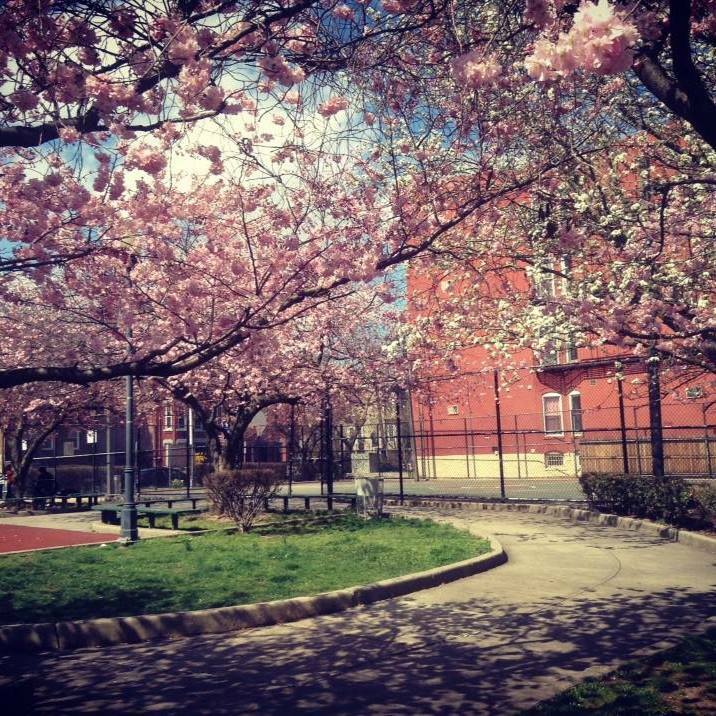 Mama Johnson Field, 4th and Jackson, Hoboken, NJ. Saturday, March 19, 2016, 10 am to 12 pm. Over 10,000 candy-stuffed eggs will be found by children ages 1–12. Face painting, crafts, bouncy houses, music, games and pictures with the Easter Bunny for all. Pre-registration is recommended. 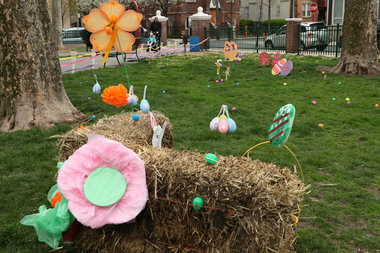 The Hoboken Family Alliance will host its 18th annual Spring Fling Egg Hunt. The egg hunt will include a stroll through the Spring Farm Egg Hunt, a “bunny-hop” and egg races. Children can trade their (empty) eggs for a bag of goodies to take home, there will also be photo opportunities with props courtesy of Hoboken High School art department. Tickets are $15/person and children 3 and under are free. Join the Easter Bunny for breakfast! Meet the famous bunny, take pictures with him and enjoy a breakfast buffet and some fun arts and crafts. Tickets are $59.90/adult, $35.95/children ages 3 – 12 and children under 3 are free. Share a grand buffet with the Easter Bunny including kid-friendly items like pizza, chicken fingers, etc. There will also be music, dancing and a great tour of the Hudson and East Rivers, Ellis Island the Statue of Liberty. This event is free with paid museum admission. Hunt for hidden egg icons in the museum! Grab a scavenger hunt booklet to record where you spot them and bring the booklet to the lobby to collect your Easter prize! 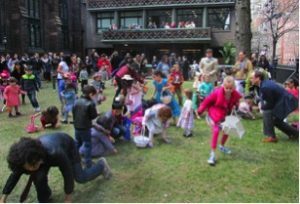 The Lower Manhattan Community Church sponsors this free annual holiday fest featuring egg hunts for children up to the third grade. Games, prizes, crafts, face painting and pictures with the Easter Bunny! Check out wacky hats and other sorts of bonnets as you enjoy the Easter Parade down Fifth Avenue! Meet the Carl Schurz Bunny! East Side West Side Music Together will entertain you while you are on line. Kids will receive an egg collection bag and glitter cheek, or hand stamp. Families are invited to celebrate this fun-filled holiday with an icy spin on the traditional Easter celebration. All kids (ages 14 and younger) will receive a complimentary mocktail with entry and are invited to take part in NYC¹s only Frozen Easter Egg Hunt featuring five custom Easter eggs frozen throughout the winter wonderland for guests to find. 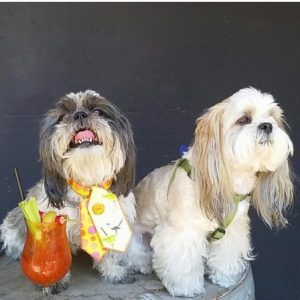 Those who find all five will be gifted a treat basket, courtesy of the ice bar. Head to the popular NYC Fire Museum to hunt for eggs inside the firehouse. Bags are provided to collect the treats and museum admission is included. When you’re done, pose for photos with Hot Dog, the FDNY mascot. 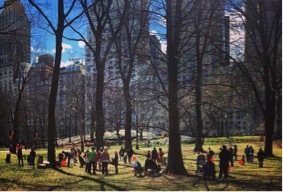 Join Our Saviour New York for its annual egg hunt on the Heckscher lawn in Central Park. 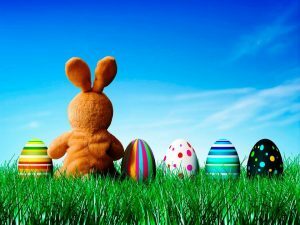 Children ages 4-11 can gather thousands of treat-filled eggs and the Easter Bunny will be on hand for free photo-ops. Sail the high seas (or the East River) as you party with the Easter Bunny and hunt for eggs aboard The Lucille. The cruise will take you down the East River for striking views of Lady Liberty, and includes lots of fun like balloon animals, face painting, popcorn, cotton candy and arts & crafts. It’s been a long winter and we are all itching to get outside! Spring Break is coming up and I’m sure you want to get out of the house as much as the kids do. Outdoor activities would be great but, with the crazy weather we’ve been having, it’s good to have options for outdoor and indoor activities to keep the kids busy this Spring Break. Several local establishments are offering Spring Break camps for kids to stay busy even when they aren’t in school! 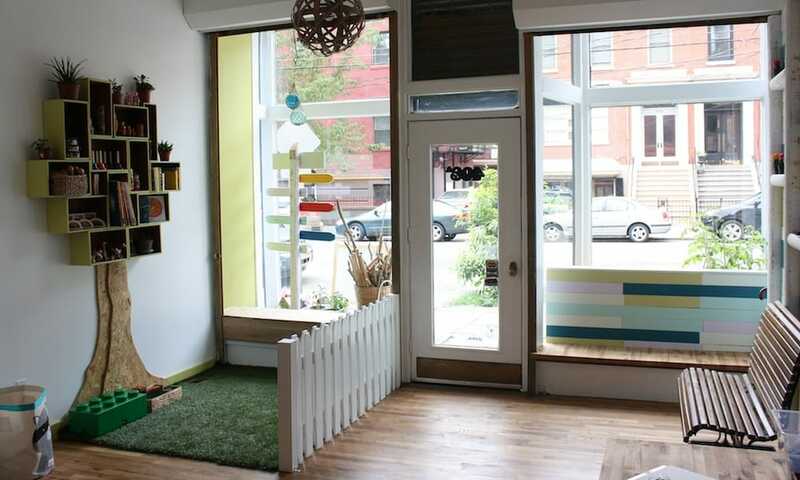 Tiny Greenhouse, an art and design studio for kids, is offering a camp called “Rain, Rain, Don’t Go Away!” The camp runs from April 6 – 8 from 12:30pm – 3pm for ages 3.5 – 7 years. The cost is $135 for three sessions or $50 for one session. Click here to sign up. If your little ones are into Lego, try Bricks 4 Kidz school break camps! 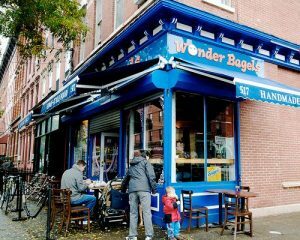 The location in Hoboken will offer half day camps from 8:30am – noon for $45 per day and full day camps from 8:30am – 2:30pm for $65 per day for kid’s ages 4 and up. The dates range from April 6 – 10. Enroll on their website. 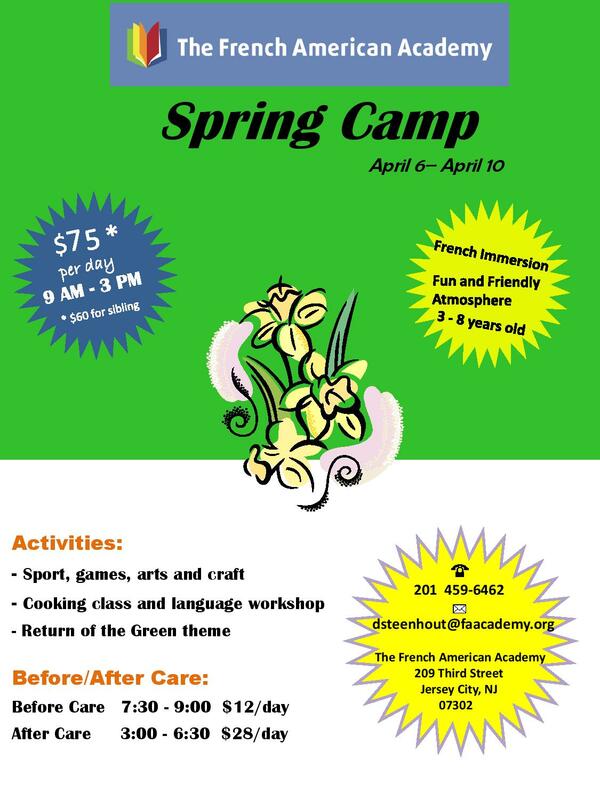 The Crop Shop in Hoboken is offering a camp on April 6 – 10 from 9am – 3pm for children ages 6 and up. Activities for kids will include gardening, ceramics and clay work, painting, collaging and more! 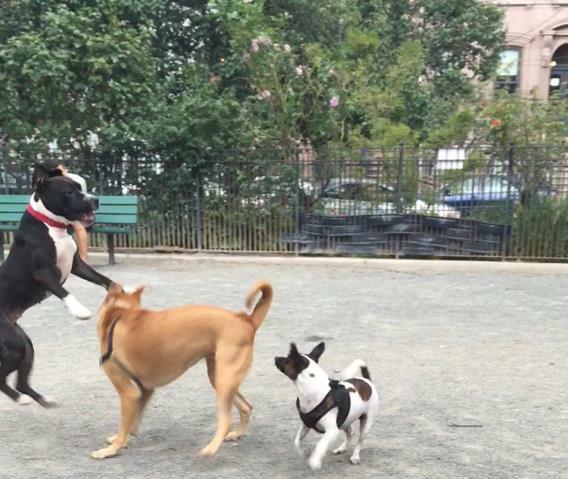 They will even take the kids to the park for a bit of play time each day! The cost is $299 for the whole week or $65 for “mini-camp” days. To register, click here. If your children are into dance, try the spring break camp at Monroe Street Movement Space in Hoboken. They make it convenient by allowing parents to register for a whole week or just single days. The camp runs April 3 – 10 from 9am – 3pm or 9am – 5pm and is offered for children ages 3 – 12 years old. Students must be fully potty-trained and not need a nap anymore. For a full week, prices range from $275 – $375 per child. Single days are $60 – $80 per day, per child. Siblings receive a discount. Plus, they offer early drop-off and late pick-up. Click here to register. Turtle Back Zoo is a fun place to visit in spring. When the air is getting warmer, it’s the perfect place to hang out for the day. And this year, for Spring Break, they are even offering a Mini Zoo Camp! Indoor and outdoor spaces are used to explore, discover and examine local and exotic wildlife. They are offering two sessions that will run 4 days each from 9am – 3pm and each session will offer classes for three age groups (K-1, 2-3, 4-5). Session one will run March 30 – April 2 and session two will run April 7 – 10. The cost is $325 per camp session. Click here to register. If you don’t want to do a whole camp for your children, try a class or two! There are plenty of local places offering classes throughout Spring Break. Try Guitar Bar, Jr for the little music guru in your family. They offer classes for infants and up. Their Little RocknRollers class is from ages 6 months – 4 years and offers an eclectic mix of musical genres for young rockers to shake, drum and dance! You can purchase a drop-in class for $24 or $15 for babies’ classes. Classes are offered throughout the week, check out their online schedule to book the class that works best for you. 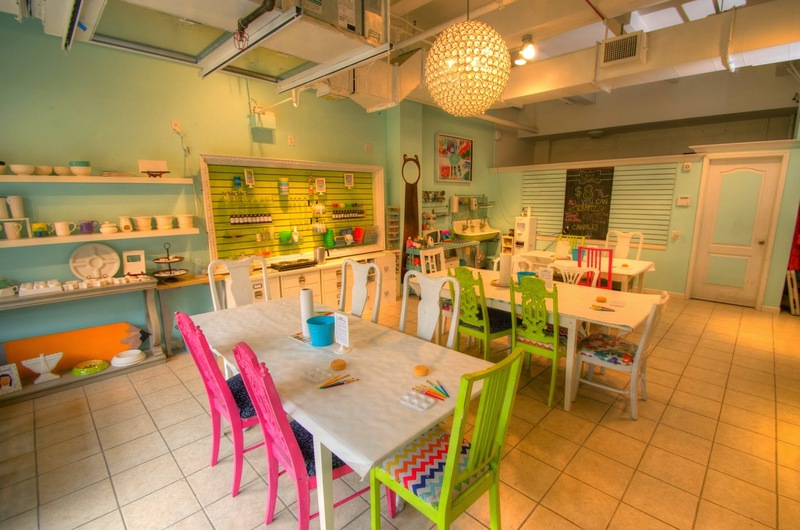 The Crop Shop in Hoboken offers many different arts and crafts themed classes for children of various ages. 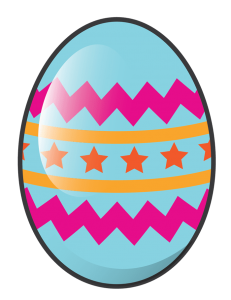 There is an Easter Egg Decorating class being held on April 4 from 11am – 1pm. Children receive 6 hard-boiled eggs to dye, paint and bling out! The cost is $22 per child. Register here. 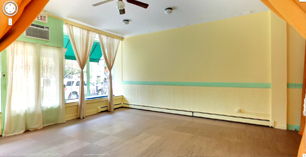 Get your little ones active and relaxed at Mimi Yoga in Hoboken! They offer classes from crawlers – 7 years old. Your first trial class is free! Drop-in classes are $25 each and you can purchase class passports for discounted rates on multiple classes. Click here for the daily schedule of classes. Take the family to a screening of “The Wizard of Oz” in 3D at the Museum of the Moving Image in NYC. Tickets are $12 or $9 for students. Showtimes are at 12:30pm daily from April 3 – 12. Click here for tickets. 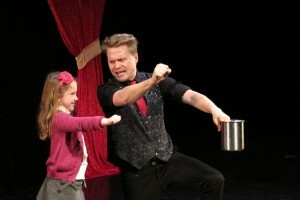 The Amazing Max Live is a magic show with a mind of its own! Enjoy magic, comedy and lots of audience participation. This show is perfect for the entire family. See the show from April 6 – 11. Tickets start at $29.50. Click here to buy tickets. 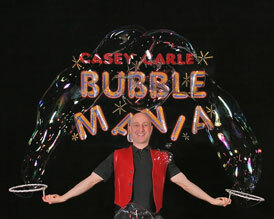 Head over to the New York Hall of Science in NYC to check out BubbleMania: Science, Art and Comedy with Casey Carle. This fun 30-minute show includes a high-energy mix of comedy, swing music and amazing soap bubble manipulations! $6 per person, plus NYSCI admission. Shows are from April 7 – 9 at 1pm and 2pm. If you need to just get outside, there are too many options to list. 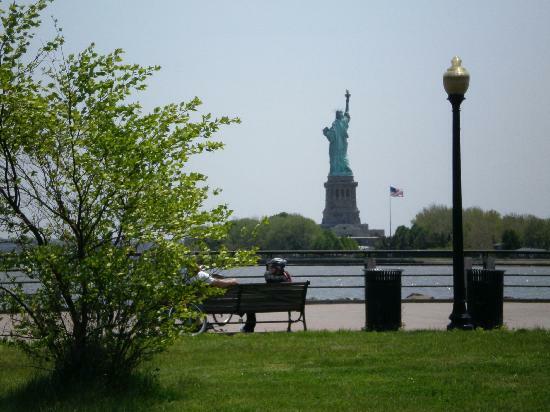 In our area, Liberty State Park is probably the first option that will come to mind. The large park offers many options to families seeking some outdoor activity. There is a large playground that the little ones love. There are pathways for biking, skating and running. As the Interpretive Center is still closed, check out the Richard J. Sullivan Natural Area, which is adjacent to the center and boasts 36 acres of natural area. You can take a self-guided nature path to observe this local wildlife habitat. 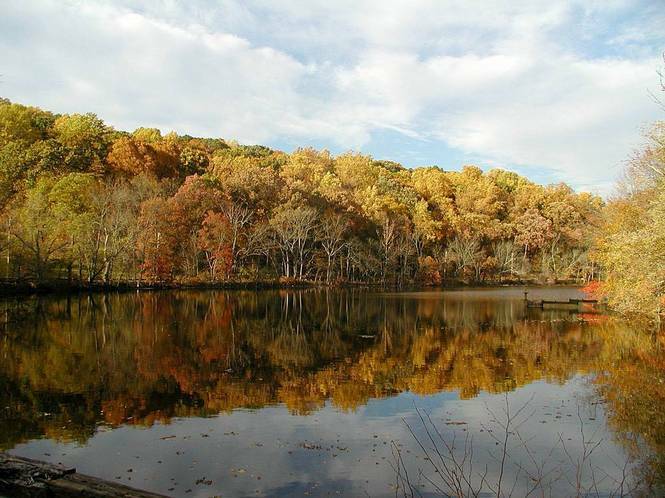 If you want some place a little bigger to explore, try Watchung Reservation. 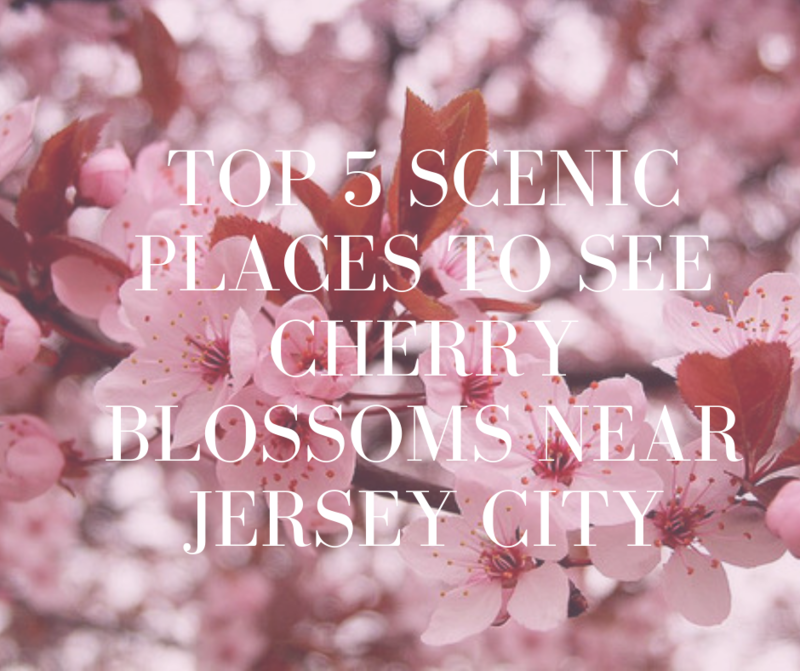 Only about 30 minutes from downtown Jersey City, this 2,000-acre natural area offers playgrounds, more than 13 hiking trails, Surprise Lake, the Deserted Village of Feltvile/Glenside Park and much more! Take the kids to the Trailside Nature and Science Center which offers 4,500 square feet of interactive, state-of-the-art exhibits and much more. 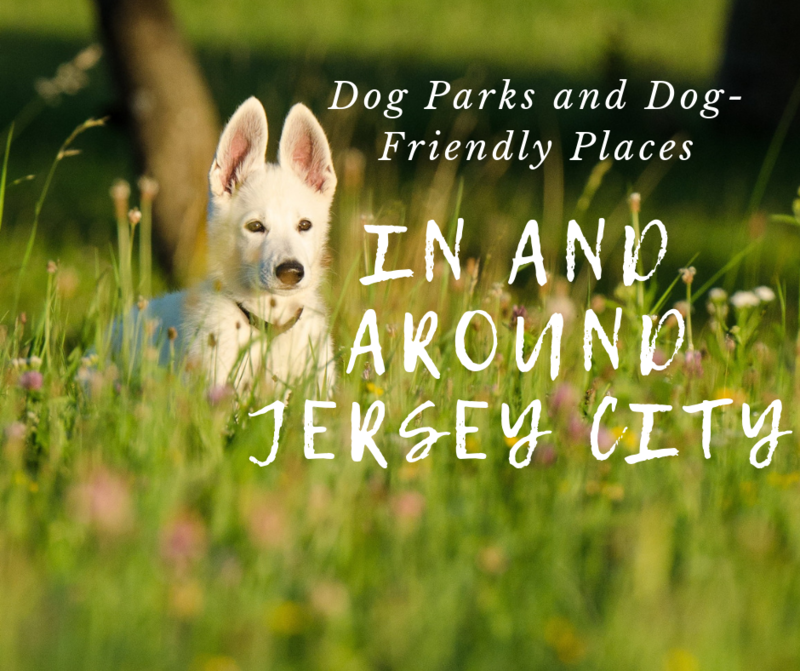 Branch Brook Park is located in Newark and is about a 15 minute drive from downtown Jersey City. 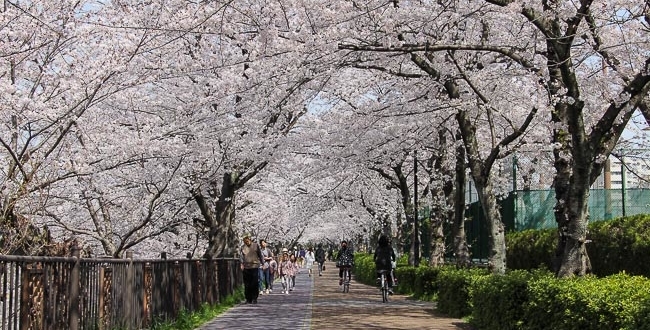 The 360 acre park will begin its 2015 Essex County Cherry Blossom Festival on April 11. It’s at the tail end of spring break this year, but fun anyway! The fun begins on April 11 and runs through April 19. Come on an off day and take a historic cell phone tour of the park! If you haven’t checked out The Bronx Zoo, this is the time, before summer crowds make it hard to park and harder to see exhibits. There is a lot of outdoor walking, so dress appropriately. 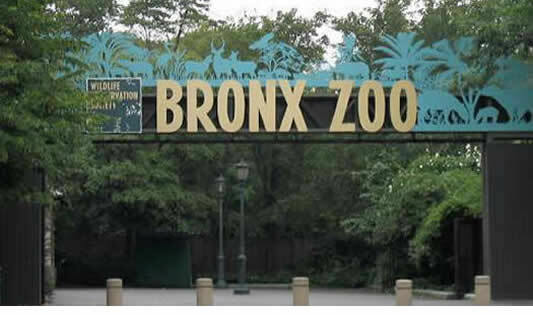 There are so many things to see and do at the Bronx Zoo including Tiger Mountain, the Bug Carousel, The Wild Asia Monorail and so much more! Online rates for tickets are $21.55 for adults 13 and up, $15.25 for children 3 – 12 and kids under 2 are free. Click here for tickets. Enjoy more than 10,000 candy-stuffed Easter eggs to be found by children ages 1 – 12. The hunt starts at 11am sharp. Children can also enjoy face-painting, crafts, bouncy houses, music, games and pictures with the Easter Bunny! The event is free, but pre-registration is recommended. 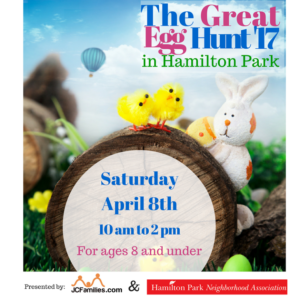 Egg hunts begin at 10am and will run continuous through noon. Children can trade their found (empty) eggs for a bag of goodies to take home! Also, enjoy a bunny-hop, egg races and Guess the Number of Jelly Beans Contest for a bike! Groups of children of all ages will be able to enter the Spring Farm for 15 minute intervals and re-enter. The cost is free for HFA members are $5 suggested donation for non-members. Enjoy the annual egg hunt picture with the Easter Bunny, goodies for the kids, food, entertainment and a DJ dance party! This event is free. Hunt for hidden egg icons in the museum! Grab a scavenger hunt booklet to record where you spot them and bring the booklet to the lobby to collect your Easter prize! This event is free with paid museum admission. Enjoy an egg hunt, crafts and face painting for children 1 – 10 years of age. Snacks, too! This event is free. Join the Easter Bunny for breakfast! Come meet the famous bunny, take pictures with him, enjoy a breakfast buffet and enjoy some fun arts and crafts. Tickets are $15/person and children 3 and under are free. Share a grand buffet with the Easter Bunny including kid-friendly items like pizza, chicken fingers, etc. There will also be music, dancing and a great tour of the Hudson and East Rivers, Ellis Island the Statue of Liberty. Tickets are $61.90/adult, $37.95/children ages 3 – 12 and children under 3 are free. Kids can create colorful patterns on their eggs and build a nest for decorated eggs. Please bring 2 hard-boiled eggs per child. This event is recommended for children ages 4 and up. Admission is $8/child, with accompanying adult. It is recommended that you purchase tickets in advance here. 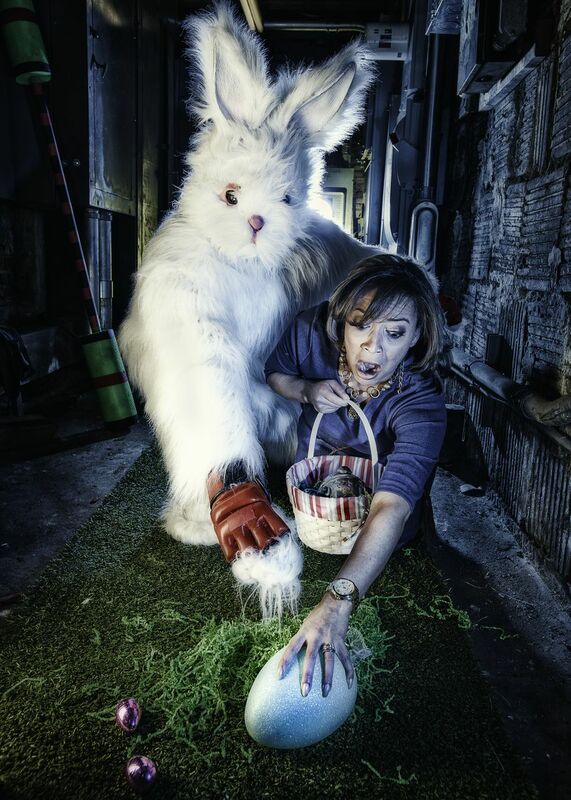 This unique Easter celebration is for kids ages 10 and up. Participants battle angry bunnies for cash, candy and prizes! Enjoy games, events and side attractions. Admission ranges from $10 – $60. Located about 20 minutes from Cancun International airport, this Gourmet Inclusive resort is great for families with young children. It is a boutique-style resort, located right on the beach with great family suites, as well as a partnership with Fisher Price. Kids even get their own private check-in with a yummy fruit smoothie made just for them. Along with the amazing Family Suites, they offer loaner baby equipment, like high chairs, bouncy chairs and toys. It is a great perk to have what you need and not worry about lugging all these items from home. As well, they have Azulitos, the fun and activity filled kids club along with babysitting services for the little ones. If you have older kids or are planning a multi-generational trip, there is Azul Fives or Azul Sensatori to fit your family. 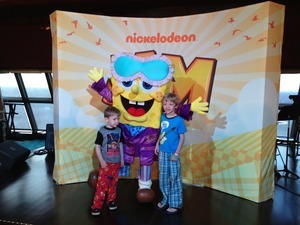 This is the newest ship on the sea and offers everything the kids along with Mom and Dad could need. Our family was lucky enough to sail on her in May and I have to say my boys 4 & 7 had a blast. Norwegian really thought about families when they built this ship. There is a top notch kids club Splash Academy for kids 3-12 along with Entourage for the teens 13-17. Please check out my review for more information. As well, the Sponge Bob Water Play area for the little ones, 5 water slides, mini golf and the ropes course where you can walk the plank. Along with Team Nick and lots of slime. Even better, in the fall and winter the ship will sail from NYC with stops in Port Canaveral where you can spend a day at the Magic Kingdom as well Atlantis where you can enjoy the amazing Aquaventure water park. 3. 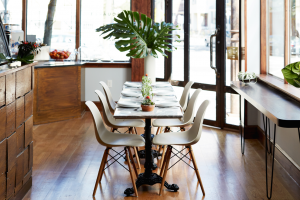 San Diego – San Diego is a great destination any time of year. The weather is perfect and there is so much to do. Along with being close to Sea World, Legoland and of course Disneyland. They have one of the best zoos in the US. You can rent a car and visit all the great beach towns as you make your way up to Los Angeles for the day. 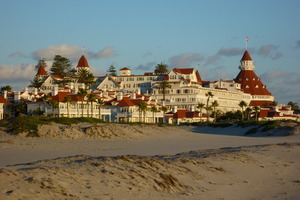 I would suggest staying at the historic Hotel del Coronado. The hotel’s beach was named the best beach in America for 2012. 4. 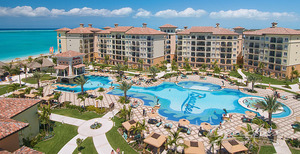 Beaches – Turks & Caicos and Jamaica – I think the Beaches properties are a great value. Since Beaches resorts are all-inclusive, you are not going to end up with a surprise bill when you check out. 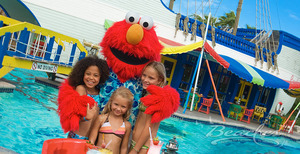 They offer amazing kids clubs and activities with Elmo and the Sesame Street gang. What I also love is that Mom and Dad can get a little vacation as well. They offer the Red Lane spa, golf and certified nannies so Mom and Dad can have a long over due date night. As well, the new Key West Village offers amazing villas that are perfect for a family reunion or multi-generational trip. Atlantis is a favorite vacation spot for our family. My boys love the Aquaventure water park, especially the special kids pool and lazy river. As well, they have a great kids club. I have learned some of the tricks for making Atlantis more affordable for families. 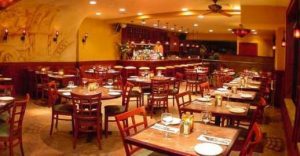 I have a great blog with information on the different room choices. So as you can see I have included a lot of beach and warm weather getaways, a long Northeast winter will do that to you. So don’t be stuck in the cold, start planning your Fall or Winter family vacation now. Hey Moms! Are you ready to get away, relax, reconnect and create family vacation memories to last a lifetime? Adventures By Kim would love to you help take the hassle and stress out of planning your next family vacation. It is our passion to make sure you get the VIP service, special amenities and vacation you deserve. Mention you found us on JC Families and get a $25.00 gift card when you book your next vacation. 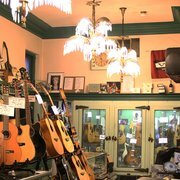 Downtown Adventure Day – A Creative City Trip for Your Budding Artist! As an illustrator, I’m always looking for inspiration and ideas to add into my artwork. Oftentimes I just go into New York City for the afternoon and take a walk to gaze at new stores, restaurants, art galleries and museums. 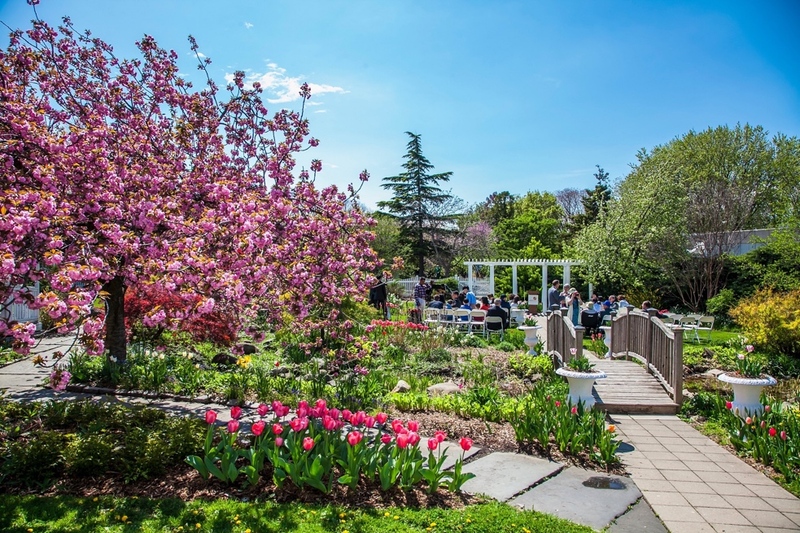 Here’s an easy trip to take with the kids this Spring in lower Manhattan just steps from the PATH train. I completed this adventure day with my parents when they visited this week and it was lots of fun and a day full of really good memories. 1) Exit the PATH train at the World Trade Center station shop and start heading South on Broadway. 2) Take a moment to gaze at the amazing animals and gargoyles on the buildings surrounding Zucotti Park and Trinity Church yard on Broadway. 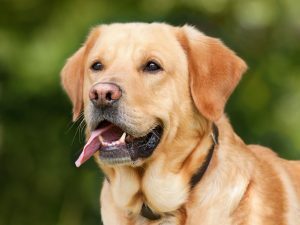 Have the kids take some shots of their favorite faces and animals with your digital camera. It will be a great memory of the day. Set your camera to ‘black and white’ for a special effect. 3) Head to the National Museum of the American Indian by Bowling Green Park. It’s a free museum with amazing exhibits and kid friendly activities available 7 days a week. DO NOT MISS THIS GREAT MUSEUM! Visit the website here. 4) Finish your day with a trip on the Staten Island Ferry. Another great, free and fun thing to do in lower Manhattan is to take the Staten Island Ferry. It’s about a 25 minute ride each way. You’ll see the Statue of Liberty, a great view of lower Manhattan , and kids will love the sea gulls that follow the ship! Read about the ferry schedule here. 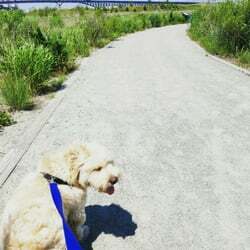 On your way back to the PATH train, try walking on a different street to see even more great sites, such as Battery Park which works its way up the waterfront and is located directly next to the exit of the Staten Island Ferry Terminal.